Tape In Hair Extensions are attached quick and easy by pressing two gel strips towards each other with a part of your own hair in between. They lay completely flat with no bulkiness at all. Tape-In Extensions are also referred to as Tape Down Extensions, Seamless Extensions, Skin Weft Extensions, Tape Weft Extensions. Simple, straight-forward, and easy to use, tape-in hair extensions give you a full, natural look fast! 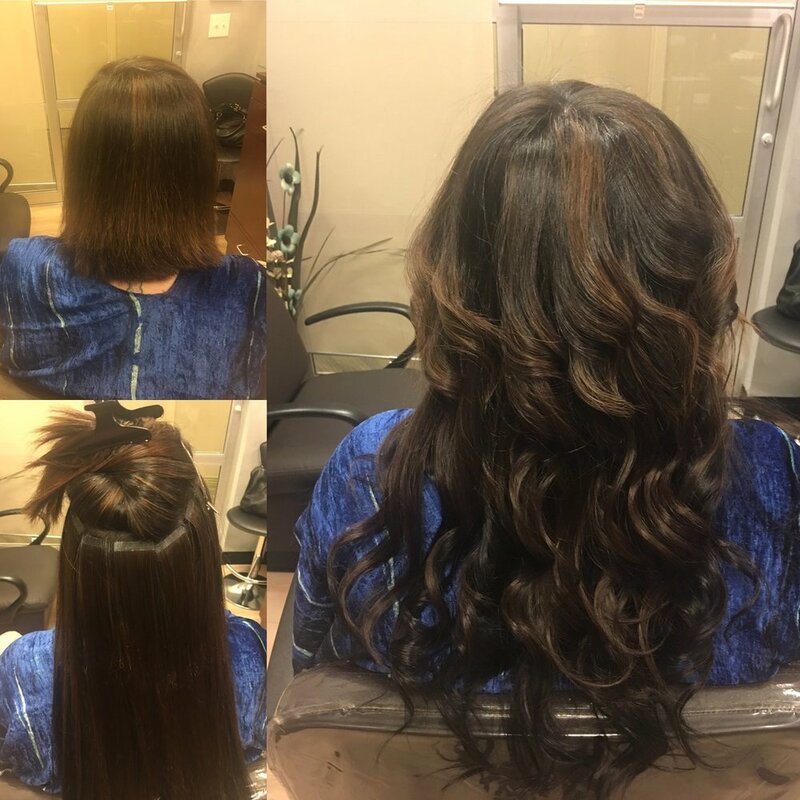 At Nina Ross, we have performed dozens of tape-in extensions services for Atlanta women of all ethnicities and hair types. 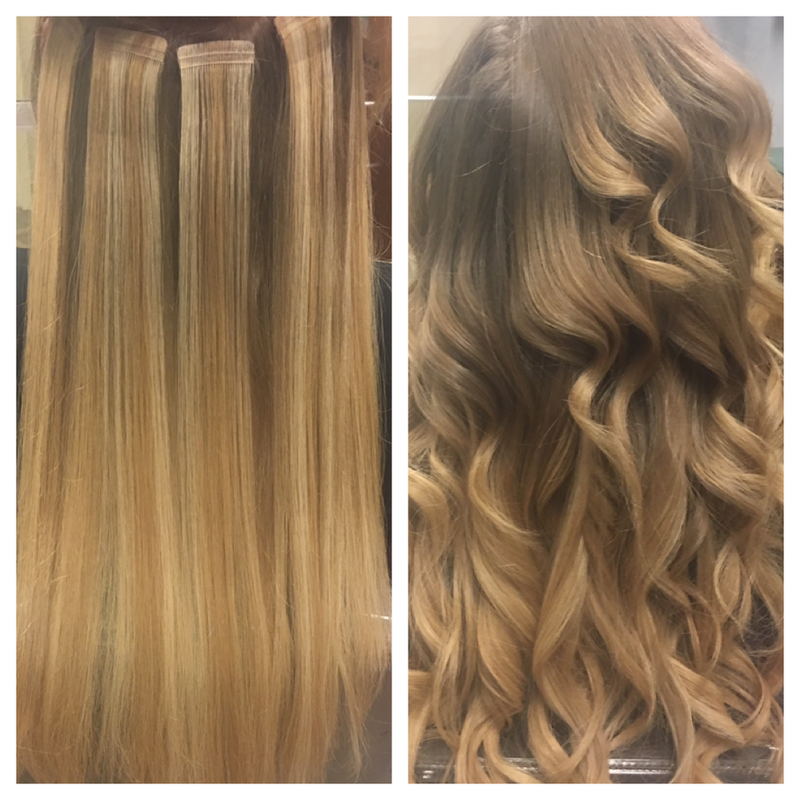 A beginner to hair extensions. You get to know if you like the weight and feel without committing to a longer term technique. Doing a quick upgrade for a special event like a wedding. You want to avoid heavy oils and limit washes to a couple times a week to ensure you get your money’s worth. Tape down hair extensions can be reused/refitted and, if properly cared for, can last 2-4 months. They are maintained by having them removed and reattached when they grow out. 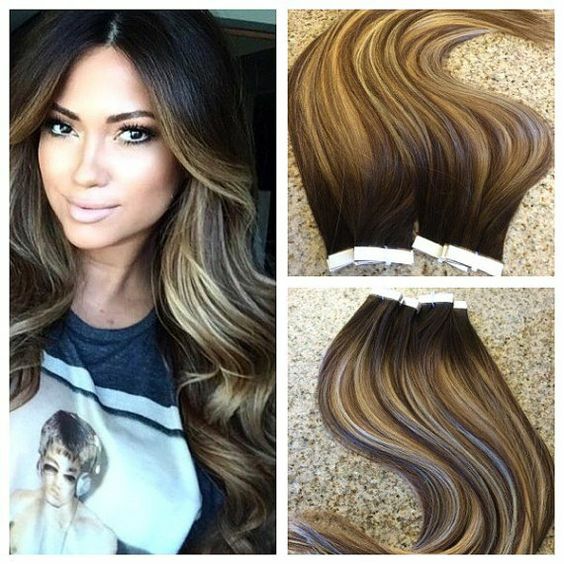 We guarantee our tape weft hair extensions for 6-8 weeks.